Moldovan B, Biris P, Pocreata D, Vasile S, Cimpeanu L, Jeder O, Badea A, Moldovan A, Biris L, Banu E, Angheloiu B. Recurrent left bockdalek hernia in adult, a rare cause of subocclusive syndrome. Chirurgia (Bucur). 2013 Jan-Feb;108(1):116-9. Moldovan B, Banu E, Pocrea D, Buiga R, Rogoz S, Pripisi L, Cimpeanu L, Moldovan A, Jeder O, Badea A, Biris P. Gastric metastasis of cervix uteri carcinoma, rare cause of lower gastric stenosis. Chirurgia (Bucur). 2012 Nov-Dec;107(6):816-20. Ringeisen F, Velu T, Lefrere-Belda MA, Limacher JM, Fridman WH, Azizi M, Acres B, Tartour E. A phase II study of the cancer vaccine TG4010 alone and in combination with cytokines in patients with metastatic renal clear-cell carcinoma: clinical and immunological findings. Cancer Immunol Immunother 2011 Feb;60(2):261-271. [Epub ahead of print] 2010 Nov 11. Fournier LS, Oudard S, Thiam R, Trinquart L, Banu E, Medioni J, Balvay D, Chatellier G, Frija G, Cuenod CA. Metastatic renal carcinoma: evaluation of antiangiogenic therapy with dynamic contrast-enhanced CT. Radiology 2010 Aug;256(2):511-518. Epub 2010 Jun 15. Andrieu JM. What is the real impact of bone pain on survival in patients with metastatic hormone-refractory prostate cancer treated with docetaxel? BJU Int 2009 Jun;103(12):1641-1646. Epub 2009 Feb 6. Fitzpatrick JM, Banu E, Oudard S. Prostate-specific antigen kinetics in localized and advanced prostate cancer. BJU Int 2009 Mar;103(5):578-587. Epub 2009 Feb 6. Review. Andrieu JM, Oudard S. Salvage therapy with bevacizumab-sunitinib combination after failure of sunitinib alone for metastatic renal cell carcinoma: a case series. Eur Urol 2009 Jul;56(1):207-211, quiz 211. Epub 2009 Jan 13. Berhoune M, Banu E, Scotte F, Prognon P, Oudard S, Bonan B. Therapeutic strategy for treatment of metastatic non-small cell lung cancer. Ann Pharmacother 2008 Nov;42(11):1640-1652. Oct 28. Epub 2008 Oct 28. Riquet M, Cazes A, Pfeuty K, Ngabou UD, Foucault C, Dujon A, Banu E. Multiple lung cancers prognosis: what about histology? Ann Thorac Surg 2008 Sep;86(3):921-926. Helley D, Banu E, Bouziane A, Banu A, Scotte F, Fischer AM, Oudard S. Platelet microparticles: a potential predictive factor of survival in hormone-refractory prostate cancer patients treated with docetaxel-based chemotherapy. Eur Urol 2009 Sep;56(3);479-484, Epub 2008 Jun 20. Riquet M, Bagan P, Banu E. Reply. Ann Thorac Surg 2008;86(1):354. Assouad J, Banu E, Brian E, Pham D.N, Dujon A, Foucault C, Riquet M. Strategies and outcomes in pulmonary and extrapulmonary metastases from renal cell cancer. Eur J Cardiothorac Surg 2008 May;33(5):794-798. Epub 2008 Mar 4. Scotté F, Banu E, Medioni J, Levy E, Ebenezer C, Marsan S, Banu A, Tourani JM, Andrieu JM, Oudard S. Matched case-control phase 2 study to evaluate the use of a frozen sock to prevent docetaxel-induced onycholysis and cutaneous toxicity of the foot. Cancer 2008 Apr;112(7):1625-1631. Epub 2008 Feb 19. Medioni J, Dionysopoulos D, Banu E, Scotte F, Oudard S. Chemotherapy for prostate cancer. Presse Med 2008 May; 37(5 Pt 2):814-820. Epub 2007 Dec 21. Riquet M, Bagan P, Le Pimpec Barthes F, Banu E, Scotte F, Foucault C, Dujon A, Danel C. Completely resected non-small cell lung cancer: reconsidering prognostic value and significance of N2 metastases. Ann Thorac Surg 2007 Dec;84(6):1818-1824. Banu E, Banu A, Fodor A, Landi B, Rougier P, Chatellier G, Andrieu JM, Oudard S. Cumulative meta-analysis of randomized trials comparing gemcitabine-based chemotherapy versus gemcitabine alone in patients with advanced or/and metastatic pancreatic cancer. Drugs Aging 2007;24(10):865-879. Oudard S, Banu E, Scotte F, Banu A, Medioni J, Beuzeboc P, Joly F, Ferrero J, Goldwasser F, Andrieu JM. Prostate-specific antigen doubling time before onset of chemotherapy as survival predictor for hormone-refractory prostate cancer patients. Ann Oncol 2007 Nov;18(11):1828-1833. Epub 2007 Sep 9. Banu E, Banu A, Medioni J , Levy E, Thiounn N, Mejean A, Andrieu JM, Oudard S. Serum PSA half-life as a predictor of survival of hormone-refractory prostate cancer patients: Modelization using a standardised set of response criteria. Prostate 2007 Oct;67(14):1543-1549. Medioni J, Cojocarasu O, Banu E, Cassar-Queudeville A, Halimi P, Oudard S. Reversible encephalopathy syndrome secondary to sunitinib for metastatic renal cell carcinoma patient. Targeted Oncology 2007 Jul;2(3):193-195. Oudard S, Banu E, Scotte F, Beuzeboc P, Guyader C, Medioni J. New targeted therapies in hormone-refractory prostate cancer. Bull Cancer 2007 Jul;94(7), suppl FMC:F62-68. Oudard S, Banu E, Vieillefond A, Fournier L, Priou F, Medioni J, Banu A, Duclos B, Rolland F, Arakaelyan N, Culine S. Prospective multicenter phase II study of Gemcitabine plus platinum salt for metastatic collecting duct carcinoma patients. Results of a GETUG (Groupe d'Etudes des Tumeurs Uro-Génitales) study. J Urol 2007 May;177:1698-1702. S. Oudard, J. Medioni, A. Chedid, E. Banu, D. Dionysopoulos, J. Balcaceres, F. Scotté. Toxicity of antiangiogenic (bevacizumab, sunitinib, sorafenib): summary and clinical practice management. La Lettre du Cancérologue 2007 May;XVI(5):191-194. Oudard S, Medioni J, Scotte F, Banu E. Prostate cancer: update. Bull Cancer 2005 Oct;92(10):865-873. Scotte F, Tourani JM, Banu E, Peyromaure M, Levy E, Marsan S, Magherini E, Fabre-Guillevin E, Andrieu JM, Oudard S. A multicenter study to evaluate the use of a frozen glove to prevent docetaxel-induced onycholysis and cutaneous toxicity of the hand. J Clin Oncol 2005 Jul;23(19):4424-4429. Oudard S, Banu E, Beuzeboc P, Voog E, Dourthe LM, Hardy-Bessard AC, Linassier C, Scotte F, Banu A, Coscas Y, Guinet F, Poupon MF, Andrieu JM. Multicenter randomized phase II study of two schedules of docetaxel, estramustine, and prednisone versus mitoxantrone plus prednisone in patients with metastatic hormone-refractory prostate cancer. J Clin Oncol 2005 May;23(15):3343-3351. Epub 2005 Feb 28. Oudard S, Carpentier A, Banu E, Fauchon F, Celerier D, Poupon MF, Dutrillaux B, Andrieu JM, Delattre JY. Phase II study of lonidamine and diazepam in the treatment of recurrent glioblastoma multiforme. J Neurooncol 2003 May;63(1):81-86. Ciuleanu TE, Curca R, Iancu D, Todor N, Cebotaru C, Radulescu I, Banu E, Ghilezan N. First-line chemotherapy with topotecan and etoposide in advanced small cell lung cancer. A phase II study. J Buon 2002 Jan-Mar;7(1):43-46. Zdrenghea D, Banu E, Bogdan E, Beudean M. The effect of low-dose amiodarone in prevention of paroxysmal atrial fibrillation. Rom J Intern Med 1996 Jul-Dec;34(3-4):199-204. 1. Launay-Vacher V, Gligorov J, Le Tourneau C, Janus N, Spano JP, Ray-Coquard I, Oudard S, Pourrat X, Morere JF, Deray G, Beuzeboc P; Renal Insufficiency and Anticancer Medications (IRMA) Study Group. Prevalence of renal insufficiency in breast cancer patients and related pharmacological issues. Breast Cancer Res Treat. 2010, Dec;124(3):745-753. Epub 2008 Aug 15. 2. Launay-Vacher V, Ayllon J, Janus N, Spano JP, Ray-Coquard I, Gligorov J, Pourrat X, Morere JF, Beuzeboc P, Deray G, Oudard S; Renal Insufficiency and Anticancer Medications (IRMA) Study Group. Drug management of prostate cancer: prevalence and consequences of renal insufficiency. Clin Genitourin Cancer. 2009 Oct;7(3):E83-89. 3. Launay-Vacher V, Spano JP, Janus N, Gligorov J, Ray-Coquard I, Oudard S, Pourrat X, Morere JF, Beuzeboc P, Deray G; Renal Insufficiency and Anticancer Medications (IRMA) Study Group. Renal insufficiency and anticancer drugs in elderly cancer patients: a subgroup analysis of the IRMA study. Crit Rev Oncol Hematol. 2009 May;70(2):124-133. Epub 2008 Nov.
4. Launay-Vacher V, Etessami R, Janus N, Spano JP, Ray-Coquard I, Oudard S, Gligorov J, Pourrat X, Beuzeboc P, Deray G, Morere JF, Renal Insufficiency Anticancer Medications (IRMA) Study Group. Lung cancer and renal insufficiency: prevalence and anticancer drug issues. Lung 2009 Jan-Feb;187(1):69-74. Epub 2008 Oct 22. Beuzeboc P, Deray G. On behalf of the Renal Insufficiency and Cancer Medications (IRMA) Study Group. Prevalence of renal insufficiency in cancer patients and implications for anticancer drug management: The renal insufficiency and anticancer medications (IRMA) study. Cancer 2007;110(6):1376-1384. Epub 2007 July 17. 1. S. Oudard, E. Banu, A. Cassar-Queudeville, J. Medioni. Traitements anti-angiogéniques dans le cancer du rein. Flammarion Médecine-Science. Actualités néphrologiques 2008. 2. Mihailov A, Ciuleanu TE, Todor N, Curca R, Iancu D, Taju N, Cebotaru C, Radulescu I, Neacsu C, Eniu A, Cainap C, Banu E, Homokos H, Ghilezan N. A phase II trial of Vinorelbine and Cisplatin (VP) in stage IIIB non-small cell lung cancer (NSCLC). Radioterapie & Oncologie Medicala 2001;VII(2):158-162. Mihailov A, Homokos H. Gemcitabine in combination with “de Gramont” protocol as first-line chemotherapy for unresectable or metastatic pancreatic carcinoma. A phase II study. Radioterapie & Oncologie Medicala 2001;VII(1):77-84. 4. Banu E, Ghilezan N, Todor N, Cebotaru C, Radulescu I, Eniu A, Neacsu C, Cainap C, Mihailov A, Iancu D. Bi-Monthly Irinotecan with High Dose Infusional Folinic Acid and 5 Fluorouracil for Advanced Inoperable, Metastatic or Relapsed Colorectal Carcinoma Patients. Radioterapie & Oncologie Medicala 2001;VII(1):85-91. 5. Banu E. Clinical Trials in Head and Neck Cancers. Radioterapie & Oncologie Medicala 1999;V(4):348-351. 1. A. Moldovan, B. Angheloiu, B. Moldovan, C. Cristolovean, A. Banu, E. Banu, G. Proca, R. Pintea, I. Cotoara, A. Cotoara, L. Dobrin, C. Cupsa, N. Chichernea. Colonization of patients with multi-resistant bacteria in Romania: is this the top of the aisberg? The scientific days of the “Prof. Dr. Matei Bals” National Institute of Infectious Diseases. 17-19 October 2012, Bucharest. Journal of Gastrointestinal and Liver Diseases. Vol 21, suppl 4:20. 3. Banu E. Networking, key element in the success in the clinical research business. World Courrier Romania Bio-Seminaire „Supply Chain Management in Clinical Trials”. 16 March 2012. Hilton Athenee Palace. Bucarest. 4. 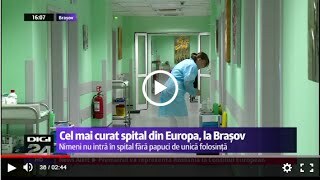 Banu E. Managementul optim al terapiei in cancerul de prostata. Zilele medicale prahovene. 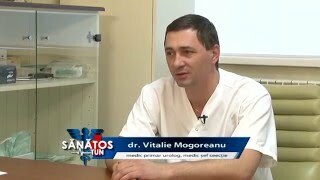 Actualitati in tratamentul si diagnosticul cancerului. 3-5 November 2011. Sinaia, Romania. 5. 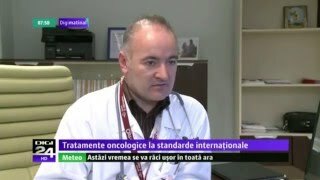 Banu E. Rolul terapiei hormonale in cancerul de prostata (simpozion): Controlul optim al testosteronului in cancerul de prostata. Progrese in Uro-Oncologie II. 29 April 2011. City Plaza Hotel. Cluj-Napoca, Romania. 6. Banu E, Oudard S, Levy E, Fabre-Guillevin E, Banu A, Ayllon J, Scotte F, Fodor A, Andrieu JM. CA 125 dynamics during lifetime as prognostic factor for ovarian cancer (OC) patients. ESMO Scientific and Educational Conference, June 2-5, Budapest. Educational and Abstract Book 2005;16, suppl 2, ii296:94O. 7. Scotte F, Banu E, Oudard S, Banu A, Medioni J, Fabre-Guillevin E, Mejean A, Fontaine E, Thiounn N, Andrieu JM. Prostate-specific antigen doubling-time (PSA DT) before onset of chemotherapy as survival predictor for hormone refractory prostate cancer (HRPC) patients. J Clin Oncol (suppl) 2005;23(16S):390s:4551. 8. Culine S, Oudard S, Duclos B, Banu E, Priou F, Rousseau F, Langlois D, Banu A, Rolland F. A phase II prospective study of gemcitabine and platinum-based combination as firstline chemotherapy for metastatic Bellini duct carcinoma patients. Results of GETUG study. J Clin Oncol (suppl) 2005;23(16S):390s:4543. 9. Banu E: Prostate-specific antigen value in hormone-refractory prostate cancer treated with chemotherapy. New horizons. 1st Journey of Prostate Cancer. Georges Pompidou European Hospital Symposium. 17 June 2004, Paris. 10. Banu E: Isolate biochemical relapse in prostate cancer patients treated with radical prostatectomy or external radiotherapy as primary treatment: recommendations. The 4th West Urological Group Meeting. Ipsen Beaufour Symposium. June 16. Ile de Bréhat, 2004. Magherini E, Marsan S, Oudard S. Assessment of frozen glove use in the prevention of docetaxel induced onycholysis and cutaneous reaction. Results of a multicenter case-control study. J Clin Oncol (suppl) 2004;22(14S);726:8003. 12. Le Frère-Belda MA, Banu E, Badoual C, Oudard S. Etude de l’expression du récepteur du facteur de croissance épithélial R-EGF dans le cancer de la prostate et corrélations cliniques. Carrefour Pathologie 2003. Ann Pathol (suppl) 2003;23:IS114. 13. Oudard S, Banu E, Vannetzel JM, Beuzeboc P, Dourthe LM, Voog E, Hardy AC, Kamioneur D, Coscas Y, Chauvet B. Results of a phase II trial of docetaxel (D), Estramustine (E) and prednisone (P)-two schedules, versus mitoxantrone (M) and prednisone in patients (pts) with hormone refractory prostate cancer (HRPC). Abstract Book of the 27th ESMO Congress, Nice, October 18-22. Ann Oncol 2002;13(suppl 5);90:325O. 14. Ciuleanu TE, Banu E, Todor N, Radulescu I, Cebotaru C, Popa L, Iancu D, Cainap C, Eniu A, Mihailov A, Homokos H, Ghilezan N. Bi-weekly Gemcitabine + high dose infusional folinic acid and 5-Fluorouracil combination chemotherapy as first line chemotherapy for unresectable or metastatic pancreatic carcinoma patients. A phase II study. The 3th Eli Lilly Young Investigators Meeting, June 29-30, Indianapolis 2001. 15. Banu E. The genetic conditioner of the glaucoma and cataract (graduate presentation). Genetic and Biology Division. University of Medicine. September 15. Cluj, Romania, 1992. 1. B. Moldovan, S. Vasile, D. Pocreata, L. Cimpeanu, O. Jeder, A. Badea, A. Moldovan, P. Biris, E. Banu. Early experience of LESS resection for rectal cancer in St. Constantin Hospital Brasov. European Colorectal Congress. Proctology. St. Gallen, Switzerland 26-29 November 2012. 2. D. Helley, R. Elaidi, J. Gachet, E. Kempf, M. Brizard, E. Levionnois, E. Banu, S.
Oudard. Assessment of angiogenic factors and hematopoietic stem cells and their relevance as prognostic factors for overall survival (OS) in metastatic castration-resistant prostate cancer (mCRPC) patients (pts) – a prospective study. The European Multidisciplinary Cancer Congress, Stockholm 23-27 September 2011: 7060. 3. G.M. Maruani, E.R. Elaidi, J.G. Gachet, E.K. Kempf, M.B. Brizard, E. Banu, F.L. 4. S. Oudard, I. Latorzeff, P. Beuzeboc, E. Banu, A. Caty, E. Sevin, R. Delva, F. Rolland, F. Priou, R. T. Elaidi, S. Culine. Phase III study of addition of docetaxel (D) to hormonal therapy (HT) versus HT alone in nonmetastatic high-risk prostate cancer (PC) patients (pts): Final results on PSA progression-free survival. J Clin Oncol (suppl) 2011;29(18S):4523. 5. E. Banu, D. Pelau, A. Porutiu, C. Floares, R. Buiga, M. Gal, A. Irimie. Stratify, adjust or interact in time-to-event analysis in ovarian cancer patients? Lesson to be learned. 13th Biennial Meeting of the International Gynecologic Cancer Society, Abstract Book, 23-26 October, 2010, Prague. Gynecologic Oncology: 00588. 6. E. Banu, C. Floares, B. Gherghel, D. Pelau, V. Manolescu, V. Gal, V. Muresan, A. Porutiu, I. Maguran. A predictive model to estimate the true risk of severe neutropenia in cancer patients treated with chemotherapy. 35th ESMO Congress. Abstract Book, 8-12 October, 2010, Milan. Annals of Oncology:4688;1259P. 7. Banu E. The relative dose-intensity and new targeted therapies in breast cancer patients. Facts and hypotheses. 7th European Breast Cancer Conference. Abstract Book, 24-27 March 2010, Barcelona. EJC 2010;8(3), suppl, 87: abstr 98. 8. Muresan V, Muresan A, Pelau D, Banu E. Multidisciplinary approach for a locally advanced colon cancer with multiple local recurrences and brain metastasis. ECCLUEducational Cancer Convention, Lugano, 3 July 2009, Ann Oncol 2009;20, suppl 5, v17:40. 9. E. Banu, D. Pelau, A. Porutiu, C. Burz, T. Banciu, F. Zsuzsa, A. Ciopec. Monotherapy with Capecitabine (Xeloda) for metastatic colo-rectal patients. Green Event, Roche Symposium, 27-28 November 2009, Sibiu, Romania: abstr 41. 10. Banu E. Delayed chemotherapy and/or dose reduction. A model to accurately predict the dose-intensity. The Breast, Volume 18, Supplement 1, March 2009, Page S37. 11th International Conference on Primary Therapy of Early Breast Cancer, 12 March 2009, St. Gallen:0076. 11. Banu E. How to prescribe standard chemotherapy or targeted-therapy using a fully featured relational database. 21-24 October 2008. The 20th EORTC-NCI-AACR symposium on Molecular Targets and Cancer Therapeutics. Geneva. Eur J Cancer 2008;6(12):61;194. 12. Banu E, Oudard S, Banu A. Proposal for a new approach in time-to-event univariate analyses. 17-21 August 2008, 29th Annual Conference of the International Society for Clinical Biostatistics, Copenhagen:220. 13. E. Banu, A. Banu. Chemotherapy combined with melatonin treatment in a patient with metastatic non-small cell lung cancer. 9-12 July 2008, International Lung Cancer Conference, Liverpool; Journal of Thoracic Oncology (Supp): abstr 8. 14. S. Oudard, E. Banu, I. Latorzeff, A. Caty, L. Miglianico, F. Rolland, F. Priou, M.
Mourey, P. Beuzeboc, S. Culine. Non-metastatic high-risk prostate cancer patients with biochemical relapse only after local treatment. A prospective randomized phase III study comparing hormonal therapy +/-docetaxel. Proceedings of Genitourinary Cancers Symposium, 14-16 February 2008, San Francisco;212. 15. Medioni J, Cassar-Queudeville A, Fournier L, Banu E, Cuenod CA, Oudard S. Response of renal cell carcinoma pancreatic metastases to sunitinib treatment: A retrospective analysis. A17. Molecular Targets and Cancer Therapeutics, San Francisco, October 22-26, 2007 (AACRNCI- EORTC Conference). 16. Scotte F, Dionysopoulos D, Piquet V, Guittard F, Medioni J, Banu E, Oudard S. Assessment of distant surveillance in a patient receiving oral antiangiogenic treatment at home. P-214. Abstracts of the 20th International MASCC/ISOO Symposium, St. Gallen, June 27-30. Support Care Cancer 2007;15:784. 17. Helley D, Banu E, Bouziane A, Banu A, Oudard S, Fischer A.M. Platelet microparticles are a predictive factor of overall survival in patients with prostate cancer. PS 525. The XXIst Congress of the International Society on Thrombosis and Haemostasis, Geneva, July 6-12, J Thromb Haemost 2007;5(suppl 2):2411. 18. Scotte F, Banu E, Medioni J, Levy E, Ebenezer C, Marsan S, Banu A, Andrieu JM, Oudard S. Frozen sock use in the prevention of docetaxel-induced nails and skin toxicities. Results of a case-control study. J Clin Oncol (suppl) 2007;25(18S):9059. 19. Oudard S, Banu E, Medioni J, Dionysopoulos D, Cojocarasu O, Banu A. What is the real impact of the bone pain on survival of hormone-refractory prostate cancer (HRPC) patients treated with docetaxel? J Clin Oncol (suppl) 2007;25(18S):5149. 21. Banu A, Helley D, Banu E, Fischer AM, Scotte F, Bouziane A, Oudard S. Platelet microparticles (PMP): A predictive factor of survival in hormone-refractory prostate cancer (HRPC) patients treated by chemotherapy. J Clin Oncol (suppl) 2006;24(18S);251s:4639. 22. Banu E, Rixe O, Linassier C, Machiels JP, Baudard M, Ringeisen F, Velu T, Lefre-Belda MA, Limacher JM, Oudard S. A phase II study of the cancer vaccine TG4010 alone and in combination with cytokines in patients with metastatic renal cell carcinoma (RCC) in metastatic renal cell carcinoma. J Clin Oncol (suppl) 2006;24(18S);120s:2581. 23. Banu E, Fischer AM, Oudard S, Bouziane A, Banu A, Helley D. Platelet microparticles (PMP): A predictive factor of survival in hormone-refractory prostate cancer (HRPC) patients treated by chemotherapy. Proceedings of Prostate Cancer Symposium, February 26, San Francisco, 2006;175:358. 24. Banu E, Oudard S, Banu A, Fodor A, Landi B, Lecomte T, Laurent-Puig P, Cugnenc PH, Andrieu JM. Cumulative meta-analysis of randomized trials comparing gemcitabine-based chemotherapy versus gemcitabine alone in patients with advanced or metastatic pancreatic cancer (PC). J Clin Oncol (suppl) 2005;23(16S);333s:4101. 25. Oudard S, Banu E, Banu A, Scotte F, Levy E, Medioni J, Fabre-Guillevin E, Ayllon J, Arakelyan N, Andrieu JM. Docetaxel versus mitoxantrone as first-line chemotherapy for hormone-refractory prostate cancer (HRPC) patients. A meta-analysis of 3-year overall survival results. J Clin Oncol (suppl) 2005;23(16S);411s:4634. 26. Beuzeboc P, Banu E, Goubely-Brewer Y, Banu A, Zerbib M, Flam T, Peyromaure M, Scotte F, Andrieu JM. Corrected area under prostate-specific antigen (PSA) curve and PSA halftime dynamics during chemotherapy. A new prognostic classification for hormone-refractory prostate cancer (HRPC) patients. J Clin Oncol (suppl) 2005;23(16S);413s:4641. 27. Oudard S, Banu E, Zerbib M, Flam T, Banu A, Peyromaure M, Scotte F, Andrieu JM. Corrected area under prostate-specific antigen (PSA) curve and PSA half-time dynamics during chemotherapy. A new prognostic classification for hormone-refractory prostate cancer (HRPC) patients. Proceedings of Prostate Cancer Symposium, February 19, Orlando, 2005;170:272. 28. Oudard S, Banu E, Banu A, Medioni J, Mejean A, Fontaine E, Thiounn N, Scotte F, Andrieu JM. Prostate-specific antigen doubling-time (PSA DT) before onset of chemotherapy as survival predictor for hormone refractory prostate cancer (HRPC) patients. Proceedings of Prostate Cancer Symposium, February 19, Orlando, 2005;175:281. 29. Banu E, Oudard S, Banu A, Levy E, Thiounn N, Mejean A, Arakelyan N, Scotte F, Andrieu JM. Combination of prostate-specific antigen (PSA) exposure and Gleason score as prognostic factors for prostate cancer (PC) patients. Proceedings of Prostate Cancer Symposium, 17 February, Orlando, 2005;70:73. 30. Banu E, Levee M, Scotte F, Banu A, Oudard S, Ayllon J, Le Maignan C, Bonan B, Le Louet AL, Andrieu JM. Corrected area under serum hemoglobin curve (Hb c-AUC) as a predictor of maximal hemoglobin response after erythropoietin (rHuEpo) treatment in chemotherapy induced anemia patients. J Clin Oncol (suppl) 2004;22(14S);852:9586. 31. Oudard S, Banu E, Thiounn N, Zerbib M, Flam T, Debré D, Banu A, Scotte F, Andrieu JM. Corrected area under serum PSA curve as a predictor of survival after chemotherapy for hormone-refractory prostate cancer (HRPC) patients. J Clin Oncol (suppl) 2004;22(14S);850:9579. 32. Oudard S, Banu E, Vannetzel JM, Beuzeboc P, Dourthe LM, Voog E, Hardy AC, Kamioneur D, Coscas Y, Chauvet B. Results of a phase II trial of docetaxel (D), Estramustine (E) and prednisone (P)-two schedules, versus mitoxantrone (M) and prednisone in patients (pts) with hormone refractory prostate cancer (HRPC). Congress of the European Association of Urology, March 13-15, Madrid. Eur Urol (suppl 1) 2003;2;189:746. 33. Oudard S, Banu E, Banu A, Scotte F, Levy E, Le Maignan C, Andrieu JM. Prostatespecific antigen half-time (PSAHT) as a predictor of survival for hormone-refractory prostate cancer (HRPC): A standardized set of response criteria. Proc Am Soc Clin Oncol 2003;22;416:1673. 34. Banu E, Ghilezan N, Todor N, Radulescu I, Cebotaru CL, Florea R, Ciuleanu TE. FU FOL - palliative chemotherapy in colorectal carcinomas. 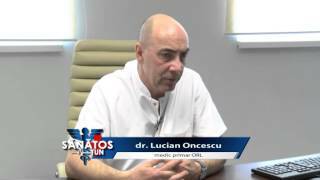 Results of a series of patients treated at the Cancer Institute in Cluj. The 8th European Interuniversity Symposium, Hellas, 1998. 1. J. Ayllon, E. Banu, F. Leviel, P. Houillier, J. Medioni, E. Barrascout, S. Oudard, G. Maruani. Bone markers in prostate cancer (PC) patients: Biologic criteria to identify patients at risk of developing distant metastases. J Clin Oncol (suppl) 2009;27(15S):e16069. 2. F. Scotte, E. Banu, J. Medioni, M Boudraoui, J.M. Tourani, A. Banu, S. Oudard. Impact of nail toxicity on survival of patients with hormone-refractory prostate cancer (HRPC) treated with docetaxel. J Clin Oncol (suppl) 2009;27(15S):e16122. 3. Banu A, Banu E, Dionysopoulos D, Medioni J, Scotte F, Levy E, Oudard S.
Chromogranine A and neuron-specific enolase as the main predictors of survival for hormonerefractory prostate cancer (HRPC) patients. J Clin Oncol (suppl) 2007;25(18S):15594. 4. Banu E, Scotte F, Banu A, Medioni J, Brizard M, Levy E, Oudard S. Is the natural history of prostate cancer different according to serum neuroendocrine profile? J Clin Oncol (suppl) 2007;25(18S):15536. 5. Berhoune M, Fabre-Guillevin E, Banu E, Scotte F, Bonan B, Medioni J, Cojocarasu O, Rideller K, Ayllon J, Levy E. What is the place of clinical variables in advanced non-small cell lung cancer (NSCLC) patients treated with chemotherapy? J Clin Oncol (suppl) 2007;25(18S):18197. 6. Beuzeboc P, Banu E, Voog E, Bousquet G, Priou F, Deplanque G, Bozec L, Machiels JP, Vannetzel M, Oudard S. Trastuzumab (T) combined with standard chemotherapy in HER+ metastatic bladder cancer (BC) patients. Interim safety results of a prospective randomized phase II study. J Clin Oncol (suppl) 2007;25(18S):15565. 7. Fournier L, Thiam R, Cuenod C, Medioni J, Trinquart L, Balvay D, Banu E, Balcaceres J, Frija G, Oudard S. Dynamic contrast-enhanced CT (DCE-CT) as an early biomarker of response in metastatic Renal Cell Carcinoma (mRCC) under anti-angiogenic treatment. J Clin Oncol (suppl) 2007;25(18S):14003. 8. Medioni J, Arakelyan N, Fournier L, Helley D, Thiam R, Ebenezer C, Banu E, Cuenod C, Oudard S. Relation between Lactate Deshydrogenase (LDH) during firsts cycles in patients with kidney cancer (KC) treated with sunitinib (SU). J Clin Oncol (suppl) 2007;25(18S):14079. 9. Ayllon J, Oudard S, Banu E, Janneau JL, Helley D, Richon S, Banu A, Levy E, Medioni J, Bellet D. Early placenta insulin-like peptide (pro-EPIL): a novel biomarker in advanced and metastatic non-small cell lung cancer (NSCLC) patients treated by chemotherapy. J Clin Oncol (suppl) 2006;24(18S);706s:20069. 10. Linassier C, Oudard S, Rixe O, Machiels JP, Rossi JF, Ringeisen F, Velu T, Banu E, Acres B, Squiban P. Phase II study of the cancer vaccine TG4010 in metastatic renal cell carcinoma. J Clin Oncol (suppl) 2005;22(16S);416s:4653. 11. Banu A, Oudard S, Banu E, Kamioneur D, Housset M, Thiounn N, Jenabian A, Mejean A, Andrieu JM. Combination of prostate-specific antigen (PSA) exposure and Gleason score as prognostic factors for prostate cancer (PC) patients. J Clin Oncol (suppl) 2005;23(16S);430s:4709. Murracciole X, Sibony M, Oudard S. HER2 status in orothelial bladder cancer (UC): screening of patients eligible for a phase II randomized study of gemcitabine plus platinum salt with or without trastuzumab. J Clin Oncol (suppl) 2005;23(16S);427s:4700. 13. Ayllon J, Plazanet V, Fabre-Guillevin E, Banu E, Bonan B, Oudard S, Le Pimpec Barthes F, Theou N, Sors H, Andrieu JM. Optimum timing of Gefitinib therapy in metastatic non-small cell lung cancer (NSCLC) patients. J Clin Oncol (suppl) 2005;23(16S);700s:7323. II study. Eighteenth UICC International Cancer Conference, June 30-July 5. International Journal of Cancer 2002;100, Issue S13;431-463:P964. 15. Ciuleanu TE, Cebotaru C, Banu E, Radulescu I, Homokos H, Mihailov A, Todor N, Ghilezan N. A randomised phase II trial of Taxol + Cisplatin (TP) versus Etoposide + Cisplatin (EP) in advanced non-small cell lung cancer. Radioterapie & Oncologie Medicala 2000;6(suppl 2);47S:111. 16. Ciuleanu TE, Banu E, Todor N, Radulescu I, Cebotaru CL, Popa L, Iancu D, Cainap C, Eniu A, Mihailov A, Homokos H, Ghilezan N. Bi-weekly Gemcitabine + high dose infusional Folinic acid and 5-Fluorouracil combination chemotherapy as first line chemotherapy for unresectable/metastatic pancreatic carcinoma patients. A phase II study. Radioterapie & Oncologie Medicala 2000;6(suppl 2);24S:52. 17. Ciuleanu TE, Todor N, Banu E, Cebotaru CL, Radulescu I, Eniu A, Neacsu C, Cainap C, Mihailov A, Iancu D, Homokos H, Ghilezan N. Bi-weekly Irinotecan + high dose infusional Folinic acid and 5-FU combination chemotherapy as first line chemotherapy for advanced inoperable, metastatic or relapsed colorectal carcinoma patients. A phase II study. Radioterapie & Oncologie Medicala 2000;6(suppl 2) ;23 S:50. 18. 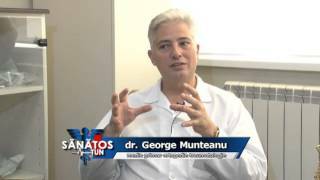 Ciuleanu TE, Radulescu I, Banu E, Cebotaru CL, Todor N, Eniu A, Florea R, Ghilezan N. Les carcinomes colorectaux; même questions, nouvelle réponses: CPT 11. National Meeting in Medical Oncology, Poiana Brasov, Roumanie 1997. 19. Banu E, Ghilezan N, Todor N, Radulescu I, Cebotaru CL, Florea R, Ciuleanu TE. FU FOL - palliative chemotherapy in colorectal carcinomas. 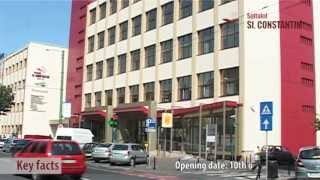 Results of a series of patients treated at the Cancer Institute in Cluj. 7th European Interuniversity Symposium at Aristoteles Institute, Thessaloniki, Greece 1997(17):50. 20. Ciuleanu E, Popita V, Banu E, Ghilezan N, Todor N, Ciuleanu TE. Clinical versus computer tomographic assessment for nasopharyngeal carcinomas. Radioterapie & Oncologie Medicala 1997;6. 1. Riquet M, Banu E, Foucault C. Unknown primary malignancy metastatic to thoracic lymph nodes. General Thoracic Surgery, 7th edition, 2009. Edited by Thomas W. Shields, Joseph LoCicero III, Carolyn E. Reed, Richard H. Feins. Wolters Kluwer. Chapter 112:1435-1439. 2. Banu E, Oudard S. Le cancer de la prostate. Intérêt de la mesure de la demi-vie du PSA et l'aire sous la courbe du PSA. Nouveaux standards d'évaluation thérapeuthiques? Edition Ellipses 2005;Chapter 10:125-131. 3. Oudard S, Banu E, Banu A, Andrieu JM. Le livre de l'année. Cancérologie. Cancers urologiques. Octopus Multimedia 2004:43-56. 4. Oudard S, Banu E, Banu A, Andrieu JM. Le livre de l'année. Cancérologie. Cancers urologiques. Editure Ellipses 2003:45-58. 1. Banu E, Banu A. Survival analysis in clinical trials in oncology. A critical review. American Journal of Clinical Oncology. 2. Banu E, Buiga R. CA-125 dynamics during lifetime as prognostic factor for ovarian cancer patients. Gynecologic Oncology. 3 Banu E, Buiga R, Oudard S. Complete response of brain metastases with concomitant radiotherapy and temozolomide in a melanoma patient. Lesson to learn from molecular markers. American Journal of Clinical Oncology.